Put your heart, mind, and soul into even your smallest acts. This is the secret of your success. These words depict our famous iconic figure in the world of automobile, none other than Anand Mahindra, the chairman and managing director of Mahindra and Mahindra Ltd.
Anand Mahindra is the renowned name in the Automobile industry. Ashe is the managing director of Mahindra and Mahindra Ltd. His grandfather KC Mahindra was the co founder of this company which was started in his home town Ludhiana in Punjab. Anand was born on 1st May, 1955 in Mumbai to a reputed business family. He was born to late Harish Mahindra and Indira Mahindra. He completed his schooling at The Lawrence School Lovedale and then graduated from the most prestigious university Harvard College, Cambridge, Massachusetts. He was also a member of Phoenix S.K.Club. In 1981 he finished his masters in Business Administration from Harvard Business School, Boston, Massachusetts. After this he is married to Anuradha, the famous editor of the magazine ‘Verve’ and ‘Man’s World’ and also the editorial chief of Rolling Stone India. The couple together has two daughters. Anand who always showed keen interest in their family business, joined it after coming back to India. From then on he started to carve his own path of success leading to a treasure of popularity in Management Fraternity. He kick started his career as an Executive Assistant in Mahindra Ugine Steel Company and in 1989 he became the president of this leading group and at this point of time he enlarged his company into other sectors like real estate development and hospitality. All his efforts yielded him the post of Deputy Managing Director of M&M group in the year 1991 and then promoted as Managing Director in 1997. Finally in the year 2003 he is crowned as Vice Chairman. Apart from this he is a co-promoter of Kotak Mahindra Finance Ltd. Which, he later transformed into a bank in 2003. Anand as a spear head led his team successfully setting global objectives and standards for achieving success. His success initiated with the introduction of the Scorpio, the developed version of SUV in the year 2002 which brought global identity to their company. From then on their company roots grew strong with acquisitions and Greenfield Business developments. The over flown success of this company has acquired some famous companies like Satyam Computer Services (2009); Reva Electric Motors (2010); Ssangyong Motor Company (2010). Anand served as a past president (2003-04) of the confederation of Indian Industry and as a president of Automotive Research Association of India. He is also the co founder of the Harvard Business School Association of India. He is also the Co-Chair person of the World Economic Forum at Davos. He also serves as a director of the National Stock Exchange of India Limited selected under the “Public Representatives category”. As being too inclined towards education he runs a trust in the name of K.C.Mahindra education trust which offers scholarships and also he is one of the Board of Governors of the Mahindra United World College of India. Being multi tasked he plays a number of roles as presidents and chair persons for number of companies and firms. 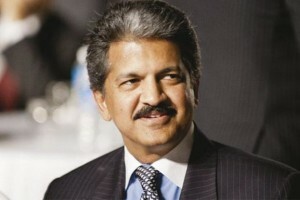 The President of French Republic honored Anand Mahindra with a title the “Knight of the Order of Merit”in the year 2004 from then on a lot of awards followed him like Rajiv Gandhi Award in 2004; Person of the year 2005 by Auto Monitor; Leadership award by American Indian Foundation; CNBC Asia Business Leader Award; Entrepreneur of the year 2007 by Ludhiana Management Association. He also received the title of the “Most Inspiring Corporate Leader of the Year” from NDTV profit; Business leader of the year (2008-09) by Economic Times Awards. Recently he is ranked as on of the most influential men &women in Mumbai by Daily news and Analysis. Anand being the most successful and influential person in our country as we seek to discover the best in him we somehow may bring out the best in ourselves. These inspirational stories glow in the path of every successful person. This entry was posted in A and tagged Chairman of Mahindra Group, co-promoter of Kotak Mahindra Finance Ltd, Mahindra Group Chairman Biography. Bookmark the permalink.